As primetime television continues to phase out scripted fare in favor of more inexpensively produced "reality" programming, and as documentaries become more and more accepted by moviegoing audiences as a suitable alternative to budget-busting studio franchises, 2010 may be remembered as a unique year in which both producers and filmmakers were forced to consider the amount of subjective license that documentaries are afforded in the depiction of their chosen subjects and subject matter. At what point does a "documentary" cross an increasingly blurry line and venture into the territory of "unscripted entertainment?" 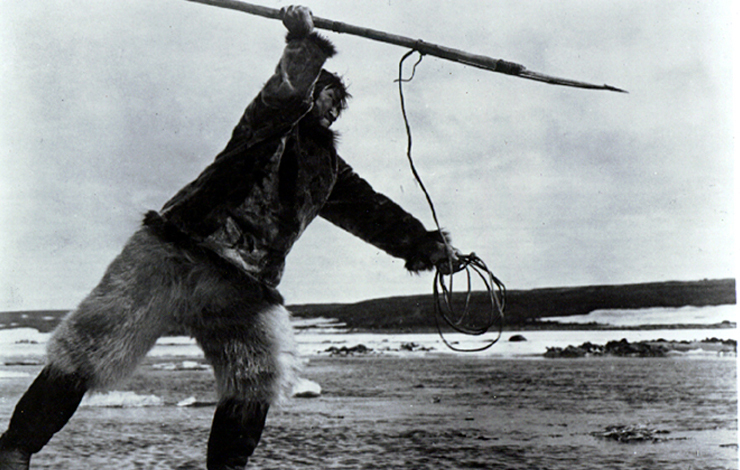 Questions of authenticity have dogged documentary producers and filmmakers from the very inception of the form—from allegations of Robert Flaherty staging Inuit hunting rituals for his 1924 ethnographic adventure Nanook of the North to the more recent example of HBO withdrawing Todd Phillips' 1998 documentary Frat House from broadcast due to concerns over its factual veracity. In contrast, The War Game won Peter Watkins the Oscar for Best Documentary Feature in 1967 despite its transparently fictionalized depiction of nuclear fallout (prompting a revision of the Academy's criteria for Oscar eligibility in its documentary categories). Orson Welles' 1973 filmic essay F Is for Fake all but revels in mischievously pulling the wool over the eyes of its unsuspecting audience; the movie's raison d'etre is a freewheeling bait-and-switch of "truth" and "fiction." "Filmmakers are always stretching the boundaries of documentaries," offers Mitchell Block, the director of No Lies, the landmark 1972 faux documentary that compelled audiences to think twice about the veracity of films that merely affect the stylistic flourishes of the documentary form. "When I made No Lies, I felt that audiences should never ‘believe' anything they see. Michael Moore did it with both imagination and success with Roger and Me [by playing fast and loose with his footage and narration]. Morgan Spurlock creates a situation in Super Size Me—he eats all of his meals at McDonald's—and then films himself. Take a work like Catfish. How can a viewer tell what they are watching? Even if it's ‘real,' it feels staged." Indeed, the philosophical mission of a medium that seeks to observe its choice of subject matter in an unaware and "unvarnished" state, and its uncomfortable relationship with a subject's awareness of (and participation with) an omnipresent production crew, can sometimes subvert a documentary filmmaker's best intentions and produce unintended results. As one of the "characters" in Jim McBride's 1967 cinema vérité satire David Holzman's Diary so succinctly puts it, "As soon as you start filming, whatever happens in front of the camera is not reality anymore. It becomes part of something else. It becomes a movie. And you stop living somehow, and you get very self-conscious about anything you do. And your decisions stop being moral decisions and they become aesthetic decisions." This conundrum is at the heart of a copyright infringement lawsuit that was filed in US Federal District Court in December 2010 against the producers, directors and distributors of the movie Catfish. Presented as a nonfiction documentary, Catfish screened to much acclaim at Sundance in January 2010 and sparked a subsequent bidding war in which Relativity Media and Universal Studios emerged as the victors. Although the labyrinthine particulars of the film's storyline have been thoroughly recounted by numerous reviewers and media outlets (and inspired a feature story on ABC's 20/20 in which the filmmakers and participants of Catfish were afforded a post-mortem evaluation of the movie's production and public reception), it will be simply stated that, in the name of expediency and in fairness to viewers who have yet to see it, the film focuses on a freelance photographer named Nev Schulman and his correspondence with a child prodigy who paints portraits based on Schulman's photographs. However, shortly after its festival premiere, divided audiences have fiercely debated the authenticity of the events that directors Henry Joost and Ariel Schulman depict in Catfish. What has never been in contention is that, at a pivotal moment in the narrative of the film, Nev Schulman is seen at his computer watching a YouTube video of the song "All Downhill from Here" being performed by Amy Kuney (who also co-wrote the song with Tim Myers). Threshold Media, which released the song as a single in 2008 through its Spin Move Records division, is listed as the plaintiff in the lawsuit that was filed against the makers of Catfish in federal court. Although Threshold Media had purportedly contacted the film's producers and distributors to request a licensing fee for publishing and synchronization rights to the Kuney's song as it was excerpted in Catfish, the label was allegedly rebuffed and informed that the song's inclusion in the film constituted "fair use" as the film is a documentary and not a fictional story. "Just because something resembles a documentary does not mean it is automatically entitled to a fair use defense, which would magically absolve it of all potential infringement sins," explains Edward Bellafiore, an attorney based in Maryland with a background in film production and intellectual property issues. "Fair use generally applies to works of criticism, comment, news reporting, teaching, scholarship or research. But when the line is a bit blurred, and it almost always is, the launching point is always the same. There is no magic fair use force field that could immunize a project absolutely without first going through the fair use analysis. Once litigation commences, the courts and litigants must do the work." Specifically, analysis centers upon four factors as outlined in Section 107 of the Copyright Act: the purpose and character of the defendant's use, including whether such use is of a commercial nature or is for nonprofit educational purpose; the nature of the copyrighted work; the amount and substantiality of the portion used in relation to the copyrighted work as a whole; and the effect of the use upon the potential market for or value of the copyrighted work. "Regardless of what the alleged infringement proposes to be," Bellafiore continues, "the bottom line is that the courts probably will be reluctant to put themselves in the position of classifying film genres and labeling art. But the courts should and will not hesitate to follow past precedent provided by case law and go through the necessary motions of fair use analysis." What especially makes this a watershed moment for filmmakers to consider and revisit questions of fair use protection is the fact that Catfish was not the only 2010 documentary release to encounter such quandaries. Casey Affleck's I'm Still Here claimed to document the unraveling of actor Joaquin Phoenix's career after his curious decision to retire from acting and pursue an ill-fated venture into the world of hip-hop music. Critics were immediately doubtful of the legitimacy of Affleck's film. Roger Ebert wrote in his review of the film: "All of this is true. At least we must assume it is. If the film turns out to still be part of an elaborate hoax, I'm going to be seriously pissed. Actually, there are subtle signs it might be. Is it a little too perfect dramatically?" Responding to a cacophony of bloggers and media critics arguing that if the film was not a hoax, Affleck was at best demonstrating a remarkable lack of empathy and professional courtesy in releasing I'm Still Here to a mass audience, the director came clean in a series of interviews with Michael Cieply of The New York Times and explained that the film, as well as Phoenix's carefully orchestrated "meltdown" under the unblinking gaze of paparazzi and the international news media, was all an elaborate piece of performance art meant to comment on the cult of celebrity and its representation in the media. Ebert, who himself later interviewed Affleck about the film in The Chicago Sun-Times, commented, "Knowing that Joaquin was performing suggests a deeper level of anger against the celebrity-publicity system than a simple psychological meltdown would have." One inextricable component of I'm Still Here—and the general catalyst for the public's belief that Phoenix was in the process of either willfully or inadvertently sabotaging his career—was an unforgettable 2009 appearance on Late Show with David Letterman, in which the actor appeared incoherent and unresponsive, all to Letterman's withering bemusement. Shortly after Affleck's on-the-record mea culpa with Cieply, Phoenix returned to Letterman's show in September 2010 to explain his motives behind the making of I'm Still Here and his infamous prior appearance on Late Show. However, the interview became unexpectedly serious when Letterman asserted that, since Affleck's film had been revealed to be not a documentary at all but instead a "theatrical ruse," Letterman was now entitled to a licensing fee for the film's excerpting of footage from Phoenix's 2009 Late Show appearance. "Now you owe me a million bucks," Letterman quipped. Phoenix offered that, as the film had underperformed in theatrical release, it was perhaps unreasonable for Letterman to ask for his usual fees for licensing Late Show footage. "Not my problem," Letterman countered. "I'm in it, and as you mentioned here, in a pivotal point in the film. All of that's worth something." "We'll work it out," Phoenix suggested. "But can we talk about it privately?" "Yeah," Letterman zinged, "we'll go to one of your screenings." "Second guessing the courts and the success of a fair use defense is dangerous business for filmmakers," Bellafiore warns. "Regardless of one's opinion as to whether or not projects like Catfish and I'm Still Here should be entitled to avail themselves of the fair use defense, one thing is for sure: producers and directors alike should be ever vigilant to follow best practices and seek pre-production advisement of an attorney when feasible before obtaining and using copyrighted footage—especially if the footage is acquired under the guise of it being used for one purpose, only to have it used for an entirely different purpose or to scoff at licensing requests of bona fide copyright owners by confidently waving the fair use flag. This type of nefarious behavior could lead one down a dangerous path toward willful infringement." Of course, Exit Through the Gift Shop represents another salient 2010 documentary release that prompted skeptical viewers to question the validity of the supposedly factual events that unfold before their eyes. Directed by the controversial British graffiti artist Banksy and billed as "the world's first street art disaster movie," the film centers on a bumbling French videographer named Thierry Guetta and his ascension into the wildly successful but aesthetically bereft outsider artist known as "Mr. Brainwash." As a filmmaker, Banksy eschews as many documentary conventions as he embraces, but audiences began loudly questioning the sincerity of the enterprise as nagging questions piled up after an initial viewing: Just how did Guetta marshal the necessary resources to mount the epic 2008 art show that cemented his professional status? And since Banksy is seen only in silhouette throughout the film with his voice electronically altered to protect his identity, how can we know for sure that the Banksy that is on display is even the actual fabled artist himself? However, much like Welles himself, Banksy is known the world over as a prankster above all else. More pointedly, as a social satirist, Banksy established his strange career by lampooning municipal institutions and re-appropriating trademarked corporate imagery. Even the logo of the independent distribution company that was formed to distribute Banksy's film, Paranoid Pictures, is a clever riff on the widely recognized Paramount Pictures brand. In some ways, audiences who are familiar with Banksy's personal history might be more shocked to discover that the events documented in Exit Through the Gift Shop were done so with faithful and absolute objectivity. On the other hand, would an audience feel hoodwinked if they were to discover that the filmmakers of Catfish had fabricated in part (or created in whole) the human drama that unfolds in the course of its 87 minutes of running time? Is I'm Still Here less essential now that everyone knows that Joaquin Phoenix was just pulling our leg the whole time? In a recent interview with AJ Schnack on his "All These Wonderful Things" blog, Banksy stated that he was "still shocked by the level of skepticism" of audiences who doubted the authenticity of Exit Through the Gift Shop. "I'm from a generation for whom documentary isn't a dirty word," Banksy elaborated. "It doesn't have to mean endless shots of penguins set to classical music. Michael Moore and Morgan Spurlock seemed completely punk to me. And the most punk thing of all was that they brought their story undiluted to the multiplex." Josh Slates is an independent film producer and director based in Baltimore. He is also the film critic for WYPR Radio's weekly arts and culture program, The Signal.